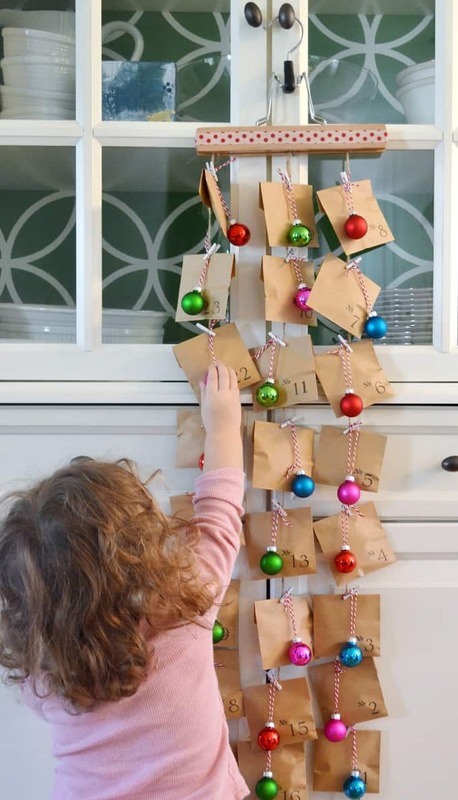 Looking for an easy and inexpensive kids advent calendar? 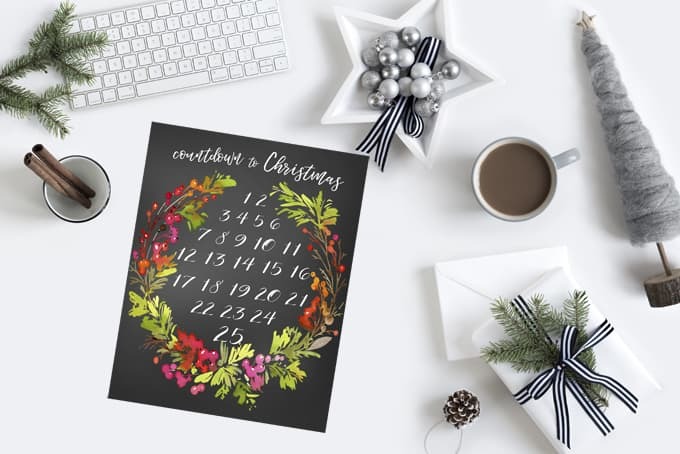 In today’s post, I’m sharing a free printable advent calendar, perfect for counting down the days until Christmas! Halloween is over and so thoughts everywhere are turning towards the holiday favorite of kids everywhere–Christmas! There are so many Christmas-related activities and traditions to choose from. 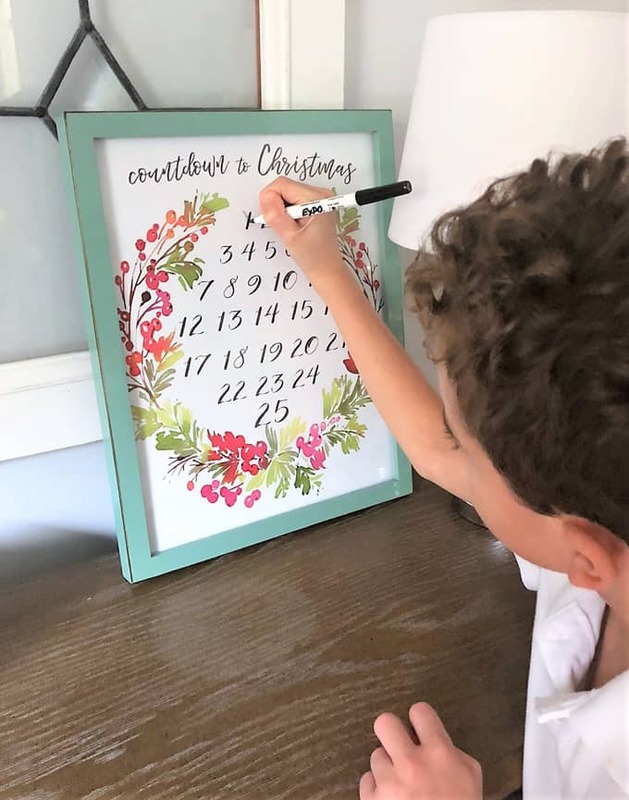 To avoid holiday overload, we like to focus on just a few favorite activities each season; an easy kids advent calendar is one of them! 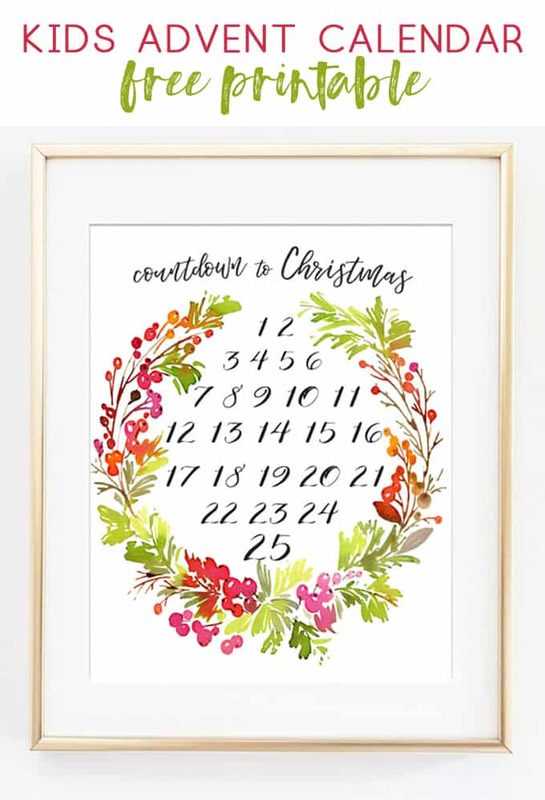 This printable advent calendar is perfect for several reasons. It comes in two colorways and can be printed same day at many photo printers. Tape it to your wall and let your kids mark off one number per day. 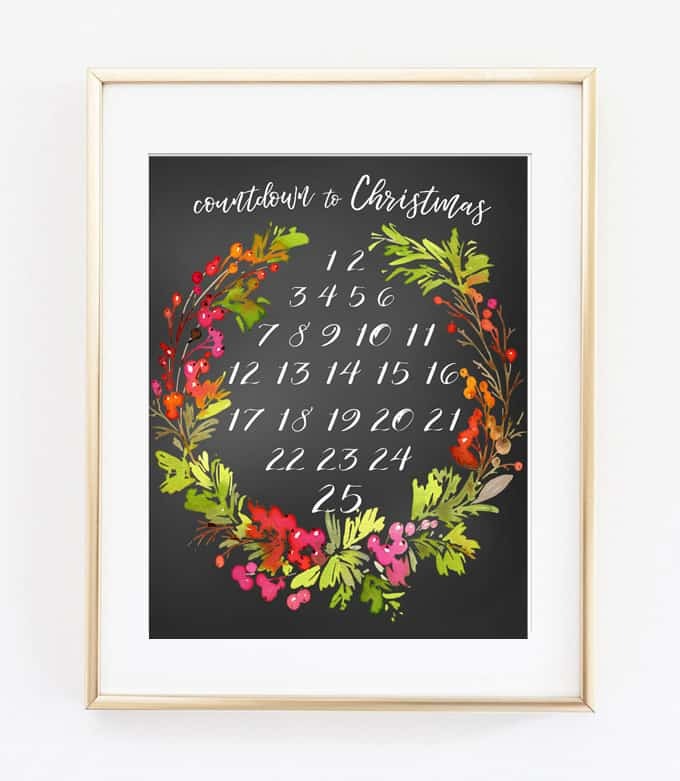 Alternatively, you can frame it and use a dry erase marker to count down the days. After Christmas has come and gone, simply wipe down the glass with glass cleaner, and put away to reuse next season! 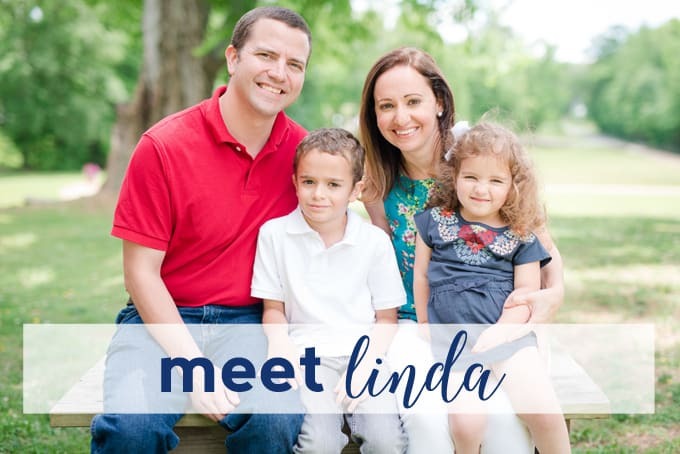 Printables print best at 8×10 or 11×14. We created this ornament advent calendar a few years ago and it was definitely one of our favorites. Fill the bags with candy or small treats for a little surprise each day! 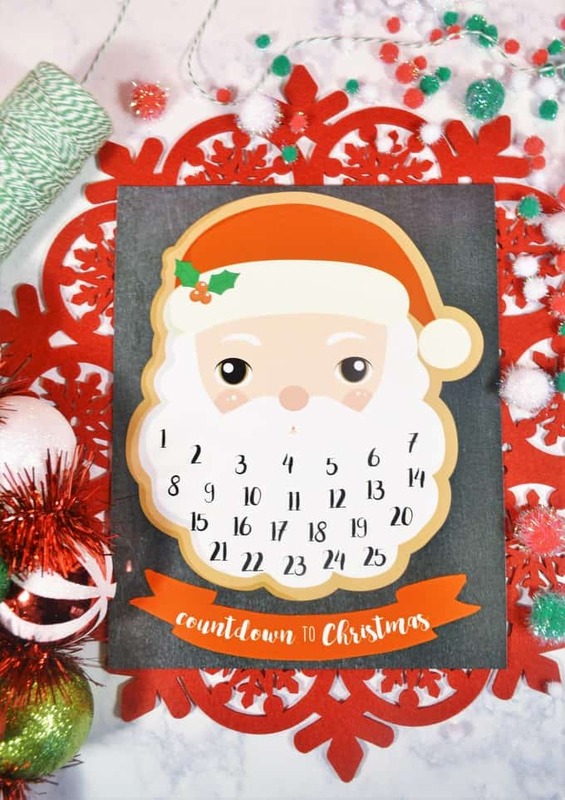 In this post, we share THREE more free printable advent calendar ideas for kids! This Santa Claus one was super popular; just glue on white pom poms (or cotton balls) to create Santa’s beard! 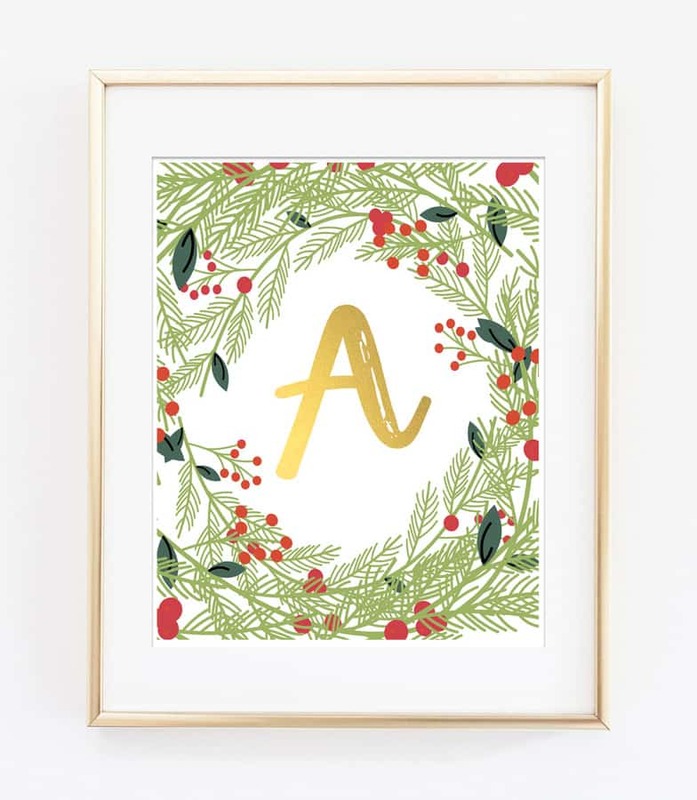 And don’t forget to head to our Christmas archives for crafts, printables and recipes to try this holiday season! 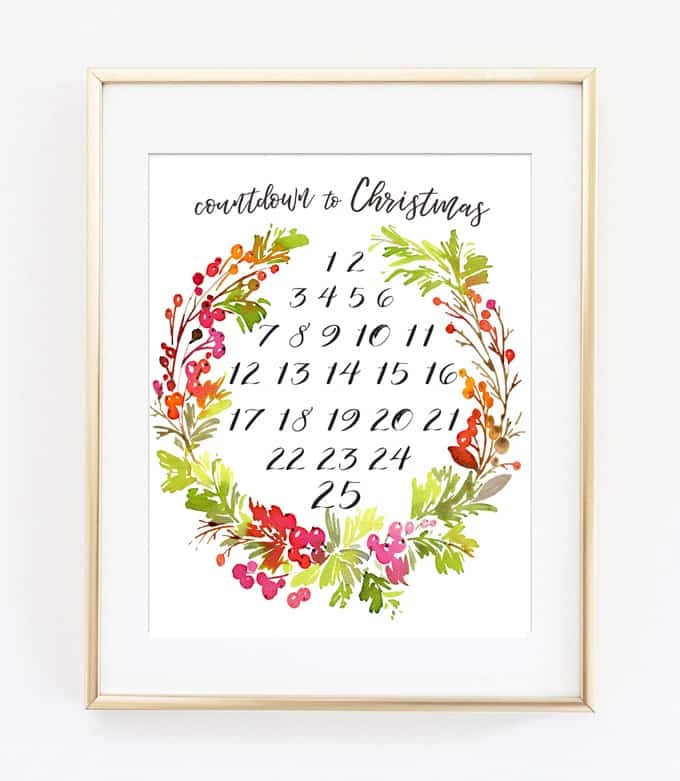 Thanks for reading all about our Kids Advent Calendar Free Printable! Have a lovely day!